J.D. 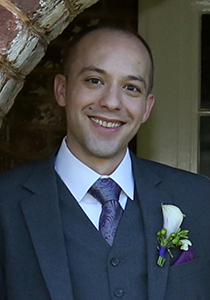 Stallings is a Scenic Design and Technical Production graduate student, focusing in Technical Direction. After graduating from Wake Forest University in 2004, he spent 11 years in Lynchburg, VA teaching, designing, and producing theatre at E.C. Glass High School. In addition to educational theatre, J.D. has worked with the Parkway Playhouse and the National Black Theatre Festival in North Carolina and Endstation Theatre Company in Virginia.